The main research area is the molecular basis of the pathogenesis of cardiovascular system diseases. The main currently implemented projects are studying the cellular and molecular bases of the development of cardiomyopathy and ascending aortic arch pathology. 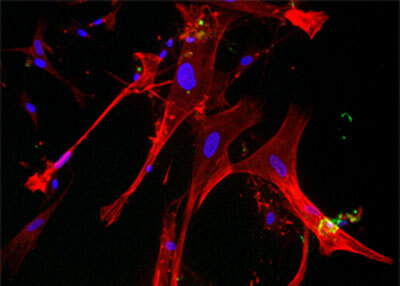 Also, the use of the approach of induced pluripotent human cells and release of C -kit + cardiac progenitor cells for the study of cell and molecular bases of the heart and aorta diseases. Gudkova A., Kostareva A., Sjoberg G., Smolina N., Turalchuk M., Kuznetsova I., Rybakova M., Edstrom L., Shlyakhto E., Sejersen T.
Diagnostic Challenge in Desmin Cardiomyopathy With Transformation of Clinical Phenotypes. Pediatric Cardiology 2012 Feb; 34 (2): 467-70. Coronado D., Godet M., Bourillot P. Y., Tapponnier Y., Bernat A., Petit M., Afanassieff M., Markossian S., Malashicheva A., Iacone R., Anastassiadis K., Savatier P.
A short G1 phase is an intrinsic determinant of naïve embryonic stem cell pluripotency. 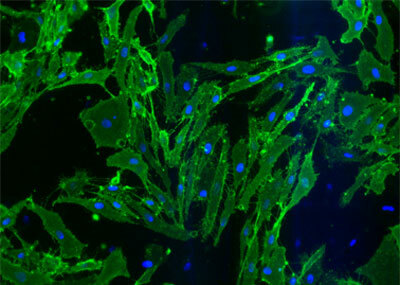 Stem Cell Res. 2013 Jan;10 (1):118-31. doi: 10.1016/j.scr.2012.10.004. Epub 2012 Oct 29. A. Kostareva, G. Sjoberg, A. Gudkova, N. Smolina , E. Semernin, E. Shlyakhto, T. Sejersena. Desmin A213V substitution represents a rare polymorphism but not a mutation and is more prevalent in patients with heart dilation of various origins. Acta Myologica 2011 Jun; 30 (1): 42-5. Kostareva A., Sjöberg G., Bruton J., Zhang S. J., Balogh J., Gudkova A., Hedberg B., Edström L., Westerblad H., Sejersen T.
Mice expressing L345P mutant desmin exhibit morphological and functional changes of skeletal and cardiac mitochondria. 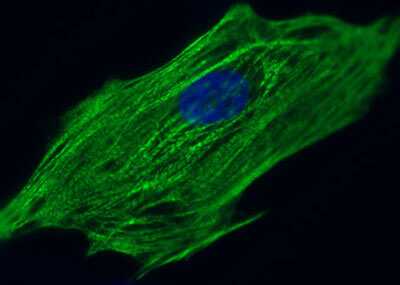 J Muscle Res Cell Motil. 2008; 29 (1): 25-36. Epub 2008 Jun 19. Bar H., Kostareva A., Sjoberg G., Sejersen T., Katus H. A., Herrmann H.
Forced expression of desmin and desmin mutants in cultured cells: impact of myopathic missense mutations in the central coiled-coil domain on network formation. Exp Cell Res. 2006 May 15; 312 (9): 1554-65. Epub 2006 Mar 7.